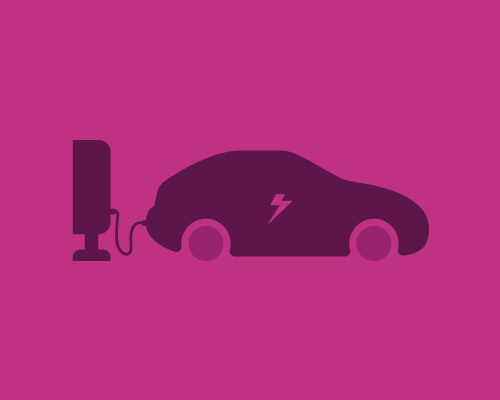 What's the buzz about electric vehicles? Low-cost power can make EVs affordable. Save nearly $1,400 in annual fuel costs while reducing vehicle emissions? It may be easier than you realize. An IRS tax credit of $7,500 may be applied to the purchase price. 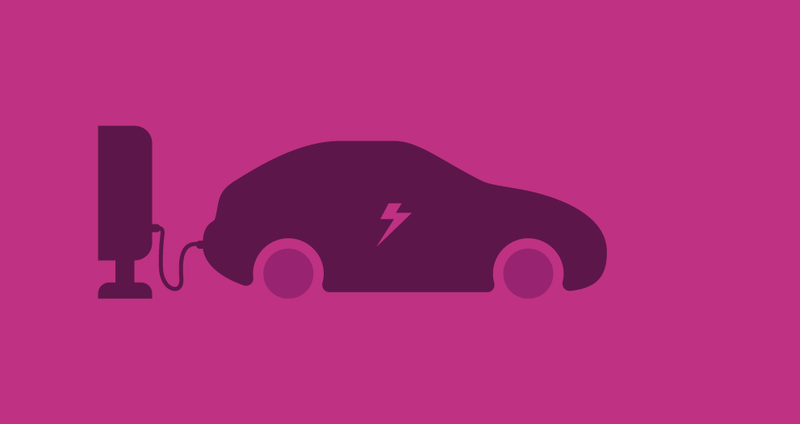 Cheap Northwest electricity means you could spend as little as $268 a year charging your EV. Many EVs have lower maintenance costs. Save $1,372 per year in fuel costs. Commute with zero-emissions — there isn't even a tailpipe. In 2010, there were two mass-market, major manufacturer plug-in electric vehicles: the Nissan Leaf and the GM Chevrolet Volt. The Leaf was all-electric; the Volt a "plug-in hybrid" that combined an electric motor with a gas engine for extended driving range. But as of 2018, there are nearly 20 mass-market, all electric and more than 25 plug-in hybrid vehicles currently on the market. Cost comparison and tax credits. Your final purchase price for an EV will likely be a bit more than an equivalent gas vehicle, but your "fuel" costs should be much lower. The sticker price of a new EV can range almost as widely as gasoline vehicles, from just under $24,000 to a cool $1.15 million. Many all-electric vehicles qualify for a $7,500 federal income tax credit, while some plug-in hybrids qualify for credits ranging from $2,500 to $7,500. These credits apply only to new vehicle purchases. Many states also have incentives for electric vehicles. Washington and Idaho both exempt electric vehicles from emissions testing, and some insurers provide discounts for EV drivers. The list price of a 2018 Ford Focus with a gasoline engine was $17,950. The plug-in electric version of the same car was listed at $29,200. Taking the federal tax incentive into account, there's still a $3,750 price difference to buy the electric. An average EV costs 2.28 cents per mile in electric power, compared with 12.15 cents per mile for a gas-powered vehicle. When it comes to gas-powered cars, the Federal Highway Administration estimates that the average driver travels 13,500 miles each year, or about 37 miles per day. If you assumed gas cost a modest $3 a gallon, and your vehicle performed at the EPA estimated average economy of 24.7 miles per gallon, your cost would be about 12.15 cents per mile, or $1,640 per year. Comparing power costs of an EV requires some calculation. An EV's "tank size" is expressed in kilowatt-hours (kWh). In Washington and North Idaho, some of the nation's lowest electricity rates (around 6.8 cents per kWh, depending on location and time of day) means that charging an EV would be around $2.28, or 1.98 cents per mile. Spread that over a year, you would spend just $268 to drive that same 13,500 miles. For plug-in hybrids, the numbers get more complicated. Most plug-ins have between 14 and 53 miles of "electric only" range before the gas engine kicks in. Depending on driving habits, an average driver would likely use around one half of one gallon of gasoline per day, plus the electric charge, for a total cost of about $700 per year of driving. The bottom line: The average driver in the Northwest would spend 12.15 cents per mile to fuel a gas engine, and 2.28 cents per mile to run an EV. That means you would save about $1,372 per year on fuel costs. You can plug EVs into standard 110 wall outlets using the charger included with your car. Or you could get a charger that plugs into a 220 volt outlet, cutting the charge time in half. Purchasing your own "Level II" charging station can range from $400 to $1,000. Check first with Avista and other electric utilities, who have in the past offered reimbursement of up to half of installation costs. Many cities and businesses also offer free electric vehicle charging. The Electric Vehicle Charging Association reported in 2017 that the U. S had exceeded 50,000 available charging stations. Some stations are starting to charge fees to users. Some charge by kWh, others by the amount of time you plug in. Others offer all-you-can-charge subscriptions. In the Northwest, you can pay $20 for one-month access to the fast chargers available on the West Coast Green Highway, or $7.50 per fast charge session. The U.S. Department of Energy says EVs require far less maintenance than similar cars with internal combustion engines. The AAA estimates that average annual cost for maintaining a traditional vehicle is $1,186. Replacing batteries is the most costly possible maintenance expense for EV owners. Improved battery technology is reducing the need for replacements, as the average plug-in car loses less than 10 percent of battery capacity over 150,000 miles. Check your warranty coverage to learn what the car maker will cover if batteries fail. Hyundai, for one, offers a lifetime warranty on some vehicles if the batteries fail. Others cover batteries for eight years and 100,000 miles. There are still questions about how to recycle or reuse old batteries and reduce the environmental impacts. Car makers are working to lessen the environmental impact of old batteries. GM, for example, uses batteries from first generation Volt models to serve as backup power at their data center. The most practical consideration for many drivers is the range you can travel. Electric cars currently on the market have an EPA-reported range of 58 to 315 miles per charge. For vehicles with an MSRP of under $40,000, ranges go up to 238 miles. For most Americans with a daily driving average of less than 40 miles, electric vehicles have plenty of range. And the fastest charging stations can charge your batteries to 80 percent in about 30 minutes. In Eastern Washington, high-power chargers are available in Spokane, Spokane Valley, Liberty Lake, Rosalia, Pullman, Ritzville, and Kennewick. However, fast chargers can reduce your battery life, so you may prefer to leave your car sitting, plugged in for a slow charge over several hours. An electric car may not be practical for those who regularly drive long distances across unpopulated areas of the country. But for many drivers, an EV is a great alternative for long-term savings and reducing your environmental impact.